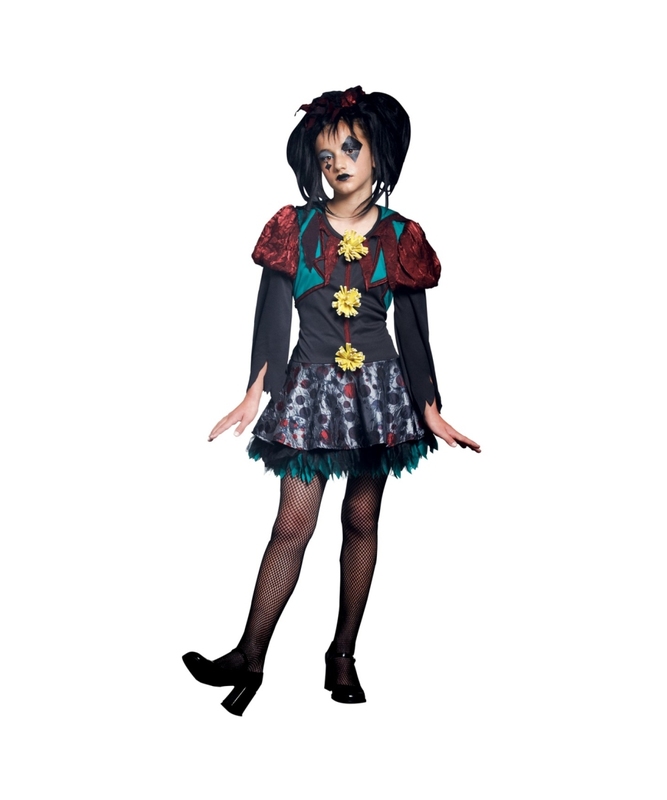 Gothic Scary Merry Girl Costume includes a cool multi color dark dress that features a stand up collar, jagged edged tulle underskirt and a pair of red and black hair scrunchies. 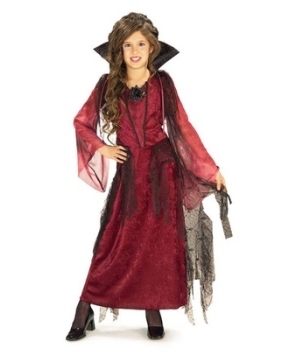 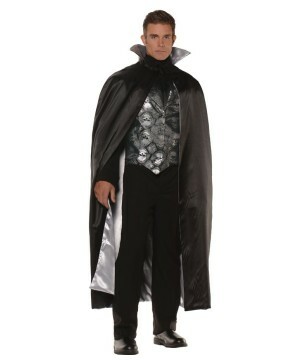 This Halloween Costume is available in Child sizes Small (4-6), Medium (8-10) and Large (12-14). 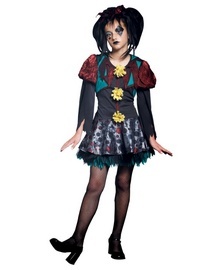 Please Note: Wig, makeup, tights, shoes and mallet NOT included.